When I was a young girl in the Episcopal Church, there were never any females at the altar. Acolytes were always boys and priests men. The first time I saw a woman at the altar was strange and took getting used to. The first time I heard a woman priest referred to as mother was even more jarring. But, why not? 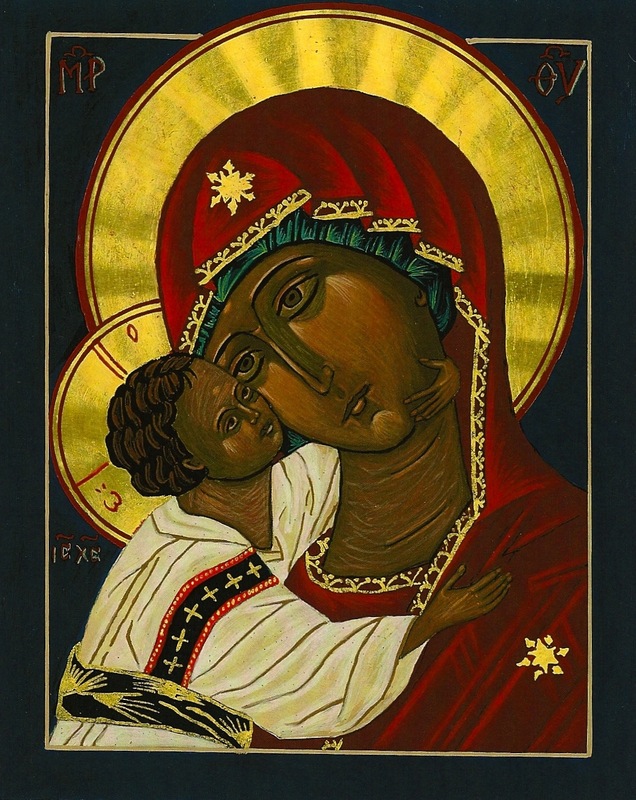 Cyprian, Bishop and Martyr of Carthage (258), is quoted in Holy Women, Holy Men as writing: “You cannot have God for your Father unless you have the Church as your Mother.” This idea of “mothering” is very incarnational – it happens on a body level. We all need something to cling to from time to time, and we all have instincts to nurture others, whether we are male or female. Sometimes we must mother ourselves, by walking through the process of spiritual discipline that allows for personal and ultimately communal healing. Much of my adolescence was spent in unhealthy escape — running from pain and from the fear that I could never measure up, and ultimately running from God, who I was sure must find me an immensely unlovable disappointment. Before I was able to receive healing through the community that is “Mother Church,” God’s healing came to me through 12-step programs. The deepest healing came as I was taught to reach out to other young women, to share my experience and offer a hand of companionship in a trying time. We cannot undo the self-inflicted wounds of our own foolishness, but, at some point, in the process of helping others, we will find that we are healed. When I was in the discernment process considering ordination, I had a vivid dream in which I found myself the only adult in a nursery full of cribs. After a moment of confusion, it came to me that I was to pick up these children, to feed them with whatever I could find at hand, and, as best I could, to show them the way. Oddly (and yet not surprisingly) this dream came at a time when I was struggling to come to terms with the reality that I would never have biological children of my own. Today, when I hear someone call Mother Beth! Mother Beth!, I am washed with a sense of affirmation as a woman and as a priest. My prayer, my hope is that God will give me the grace to love freely. Icon written during retreat with iconographer and friend Teresa Harrison. This entry was posted in 12-step spirituality, congregational development, Diocese of Florida, Episcopal church, St. Clare of Assisi and tagged 12 Steps, 12-step spirituality, Mother Church, new ministry, recovery, woman priest. Bookmark the permalink.